There are a variety of resources available through SERC websites aimed at the K-12 teacher community. Several groups have developed extensive collections of teaching activities at various educational levels. K-8 activity search - Lessons for K-8 students covering topics in Life Science, Physical Science, and Earth & Space Science. Search the entire collection of approximately 700 activities and lessons appropriate for K-8 students. 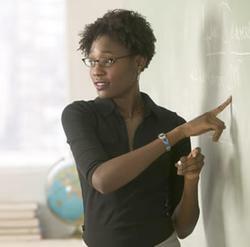 Lessons are typically hands-on and include all necessary student handouts. 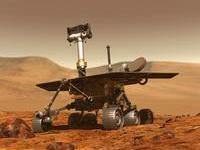 9-12 activity search - Lessons for 9-12 students covering topics in Biology, Chemistry, Earth & Space Science, Environmental Science, and Physics. Search the entire collection of over 700 activities appropriate for 9-12 students. Lessons are typically hands-on and include all necessary student handouts. Climate Literacy and Energy Awareness Network (CLEAN) - The CLEAN project, a part of the National Science Digital Library, provides a reviewed collection of resources coupled with the tools to enable an online community to share and discuss teaching about climate and energy science. 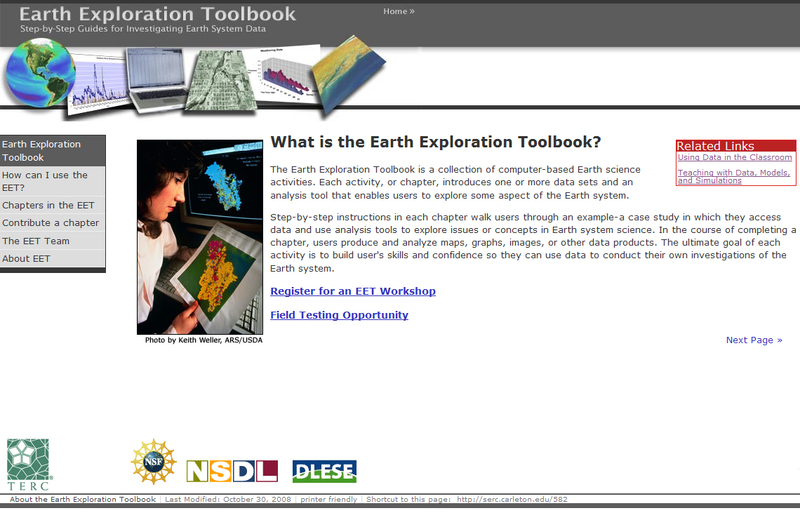 Earth Exploration Toolbook - The Earth Exploration Toolbook is a collection of computer-based Earth science activities. 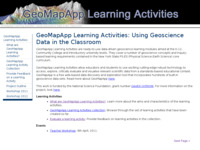 Each activity, or chapter, introduces one or more data sets and an analysis tool that enables users to explore some aspect of the Earth system. These chapters give step-by-step instructions to enable teachers to introduce real data sets and tools into the classroom. 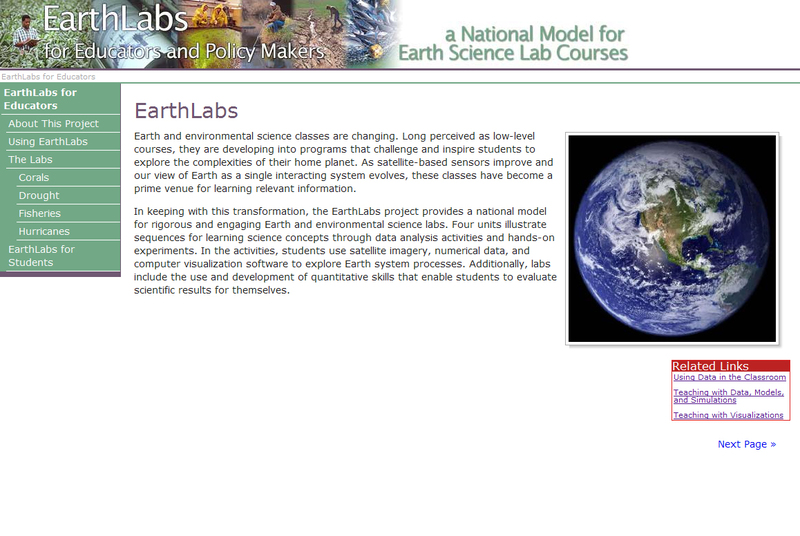 EarthLabs: A National Model for Earth Science Lab Courses - This project has developed online units for a high school Earth science lab course that is scientifically rigorous and quantitative in order to address the perception of high school Earth science as being "not a real science" compared to biology, chemistry, and physics. The units cover Corals, Cryosphere, Drought, Earth Systems, Fisheries, and Hurricanes and consist of online and laboratory experiments, reading appropriate primary literature, and conducting web research. 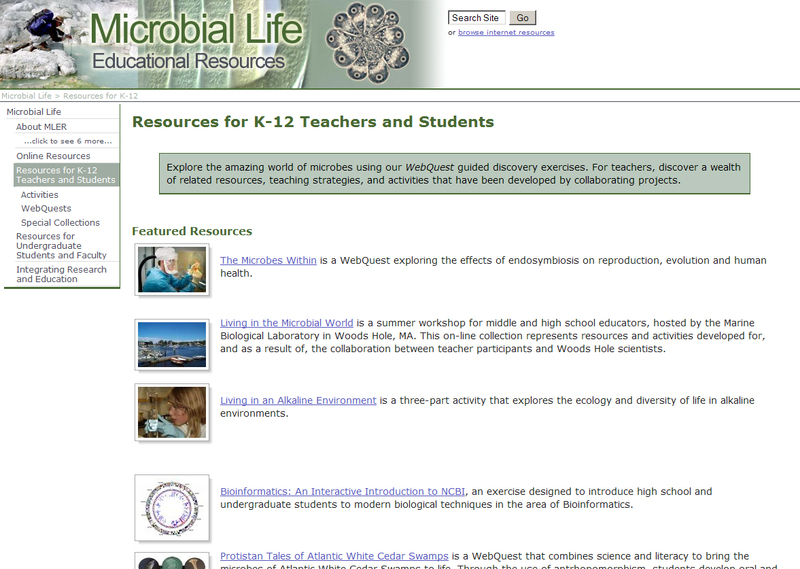 Microbial Life - Educational Resources: Resources for K-12 Teachers and Students - Explore the amazing world of microbes using WebQuest guided discovery exercises. For teachers, discover a wealth of related resources, teaching strategies, and activities that have been developed by collaborating projects. 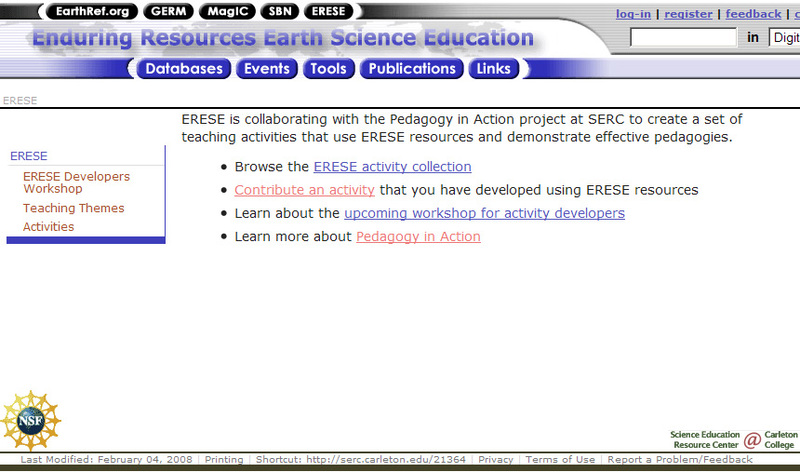 Enduring Resources for Earth Science Education (ERESE): ERESE is a project promotes, creates and publishes educational resources in a collaboration between middle and high school teachers and Earth scientists. They have made some of these resources available through a collaboration with the Pedagogy in Action project. Math You Need - The Math You Need, When You Need It modules cover quantitative topics that are important in introductory geoscience courses. Each topic includes a page for the instructor, quantitative information for the students, a set of practice problems and culminates in an on-line quiz that is automatically graded and submitted to the instructor. The project is designed to give students the quantitative knowledge that they need, just before they need to use it in their concurrent geoscience course. This program includes pre- and post-testing and self-paced modules. 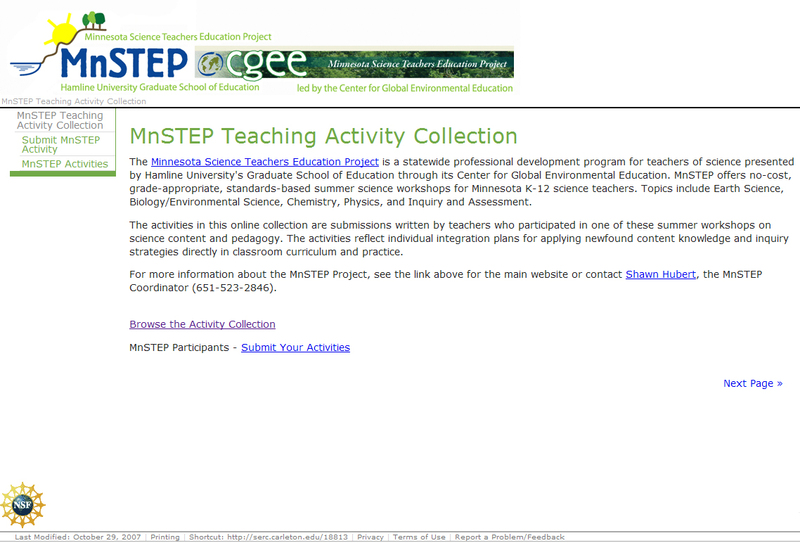 MnSTEP Teaching Activity Collection - The activities in this collection are submissions written by teachers who participated in one of the summer workshops on science content and pedagogy conducted by the Minnesota Science Teachers Education Project. The activities reflect individual integration plans for applying new-found content knowledge and inquiry strategies directly in classroom curriculum and practice. The collection currently consists of more than 500 activities in math and science at all levels of K-12 education.